The country’s spa traditions date back hundreds of years. One of the reasons such resorts developed here was the local mud famed for its therapeutic qualities. Pärnu, Haapsalu, Kuressaare and Narva-Jõesuu have been fashionable resorts since the 1820s, while Värska, Kubija, Pühajärve, Toila, Viimsi and of course Tallinn also boast excellent spas. The popularity of spas is a reflection of the developments in Estonia’s health tourism. With the hectic lives we lead today a refreshing break is one of the best ways of staying healthy. High-quality treatments and therapy will help you get the most out of your stay at any spa resort. 2008 saw the completion of a medical spa hotel quality system, and the first therapeutic spas underwent accreditation. The system was designed to inform clients of the range of services available and of the nature of these services. The fact that the services meet the requirements of the system – and the extent to which they meet them – is a sign of quality that clients can be guided by in visiting Estonia’s spas. So far, 4-star medical spa status hasbeen granted to TallinnViimsi Spa hotel (near Tallinn), while 3-starstatus has been granted to Toila Spa Hotel in Toila, Tervis Medical Spa in Pärnu, the Viiking Spa Hotel and Estonia Medical Spa Hotel in Pärnu, FraMare Thalasso Spa and Spa Hotel Laine in Haapsalu and Värska Spa Hotel & Water Park in Värska. A quality system is also being developed for wellness spas, as part of which we hope to be able to certify the first centres in the near future. Come and enjoy Estonia spa culture. 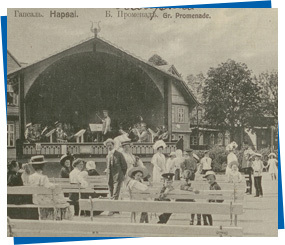 In Kadriorg, near Tallinn (now central Tallinn) imperial palace and a park, Doctor Benedikt Georg Witte’s spa, guesthouse, stables and bathing machines on the beach formed what became known as the first seaside resort of the Russian Empire. The guests could enjoy hot and cold salt water baths, both with and without various herbs. Kadriorg became the most popular resort amongst the Russian elite for decades to come. It was also visited by the members of the imperial family. Including Emperor Nikolai the First’s three daughters. In the beginning of the 19th century a business-minded farmer in Saaremaa started offering mud treatments in his sauna. This inspired the local estate owner to open a mud treatment centre with six specially equipped bathrooms. The first guests arrived from St. Petersburg and the Baltics. Good treatment results were not left unnoticed and soon the imperial health department of Livonia was conducting research into therapeutic effects of the mud of Saaremaa. The treatment centre was open until 1836, the local farmers offered treatments throughout the whole 19th century. In 1825 Count Magnus de la Gardie opened a bathhouse and mud treatment centre in Haapsalu. Running it was doctor Carl Abraham Hunnius who was very interested in therapeutic effects of the local sea mud. His research was a solid foundation for future use of therapeutic mud. In the fall of 1837 the building of a bathing centre was begun. On the 28th of June in 1838 it received its first guests. Salt water baths and swimming sessions in the sea were offered in the summer. In the winter the establishment served as a sauna. Kuressaare became the 4th resort town when a small mud treatment centre opened its doors. It was called Weise and it was a small house with thatched roof. 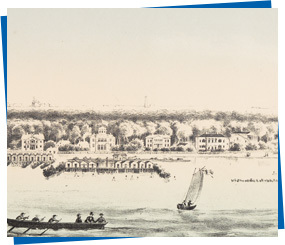 In 1845 a ship route was established between Haapsalu and St. Petersburg. The popularity of the destination rose accordingly and Haapsalu became the new favourite spot for the imperial family of Russia. In the years 1845-46 an estate ownder Theodor Andreas von Ungern-Strenberg built an elite medical spa in Haapsalu. 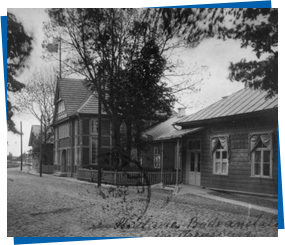 Kuressaare’s most exclusive and modern mud treatment centre run by dr. Mierzejevski was opened in 1876. In addition to that another treatment centre with 36 bathrooms was opened in 1883. Many new houses were built to cater the needs of health tourists. In 1876 a medical spa focused on water treatments was opened in the holiday resort of Narva-Jõesuu. In 1894 Narva-Jõesuu officially became a resort and obtained nicknames like Miniature St. Petersburg and Pearl of the Baltic Sea. It became very popular among the high society of Moscow and St. Petersburg. In 1890 another modern bathing facility was opened in Pärnu. 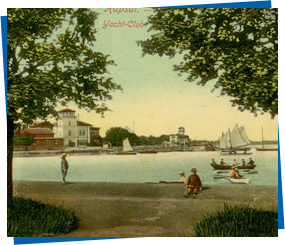 The same year Pärnu was officially added to the list of Imperial Resorts of the Russian Empire. This title had a very positive effect on development of Pärnu. New avenues were planned and built, seaside park was expanded, children’s play yards, stadiums, tennis courts, a velodrome and a district of villas was built. In the year 1902 and 1909 two more medical spas were opened in Narva-Jõesuu. Main treatment methods were different baths (mud, pine extract, steam, sulphur etc) but also showers, massage and electrical treatments. 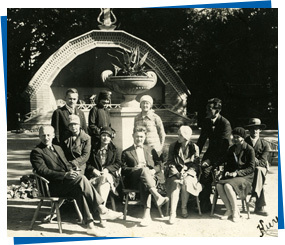 In the year 1922 Estonian Travel Bureau was established. Its main goal was to promote Estonia as a tourism destination in foreign countries. Campaigns were held in Germany, in Finland and most actively in Sweden. Also – visa was easier to get if one visited Estonia in the summer and for holidays. 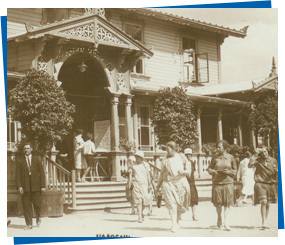 The campaigns were successful and in the first half of the 1920s inquiries about the spas started coming in. Soon the first tourists from Finland and other Scandinavian countries started pouring in. In the summer of 1922 a new sanatorium was opened in Haapsalu. It was partly funded by the Estonian Red Cross and was meant for the disabled. Medical services were offered by three more institutions at that time. 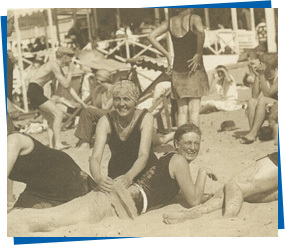 The European beach culture – unisex beaches, suntanning, socializing and sports games – reached Estonia in the beginning of the 1920s. 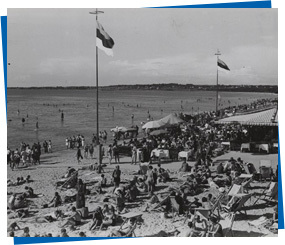 The first unisex beach was opened in 1923 near Tallinn, in Pirita (a very popular beach in Estonia even nowadays). 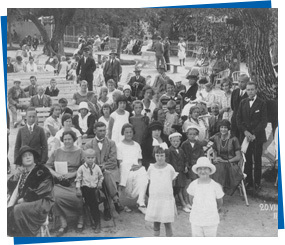 The next one in the year 1924 in Pärnu. Many of the old fashioned resort towns considered unisex beaches totally outrageous and refused to follow such practice. 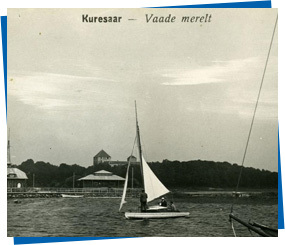 In Kuressaare there were separate dressing rooms and swimming hours for men and women until the 1930s. Unisex beach was not opened until 1932. The resorts were enthusiastically planning new spa trends for the seasons to come, but the mutual assistance pact forced upon Estonia by the Soviet Union, the Soviet Union’s hostilities against Finland and political aftermaths of these actions halted the development of the resorts for years. From the year 1942 to 1944 the spas of Pärnu were primarily available for the soldiers. In the summer of 1943 the Haapsalu mud treatment centre opened its doors again. “These days workers and their children are the only eligible holidaymakers and we are happy to welcome them!” wrote the local newspaper.